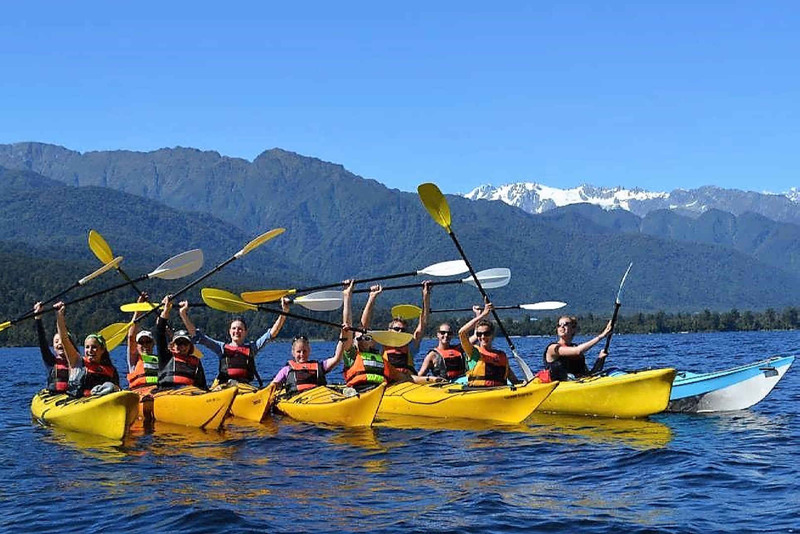 A visit to New Zealand isn’t complete without taking a trip around the beautiful South Island, which enjoys year-round tourism. 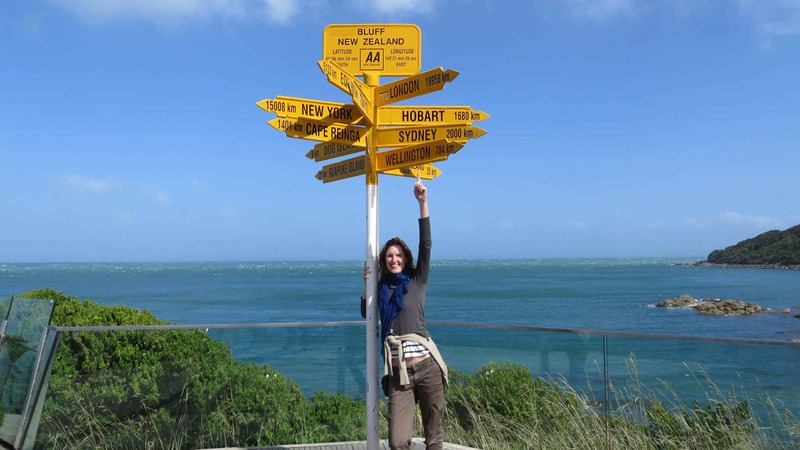 In this post, I will give you a taste of some the best places I visited on the epic Stray New Zealand bus tour for my New Zealand South Island backpacking trip and the truly stunning scenery I was privileged to see. The eye-catching big orange Stray bus picked me up from outside the aptly named Paradiso hostel in Nelson, which boasts a 12 metre swimming pool, volleyball court, en-suite dorm rooms and lots of freebies for guests, including the all-important wifi. It was a hot sunny Tuesday afternoon and I was excited about the travels that lay ahead – I had heard so much about the places we were about to visit. 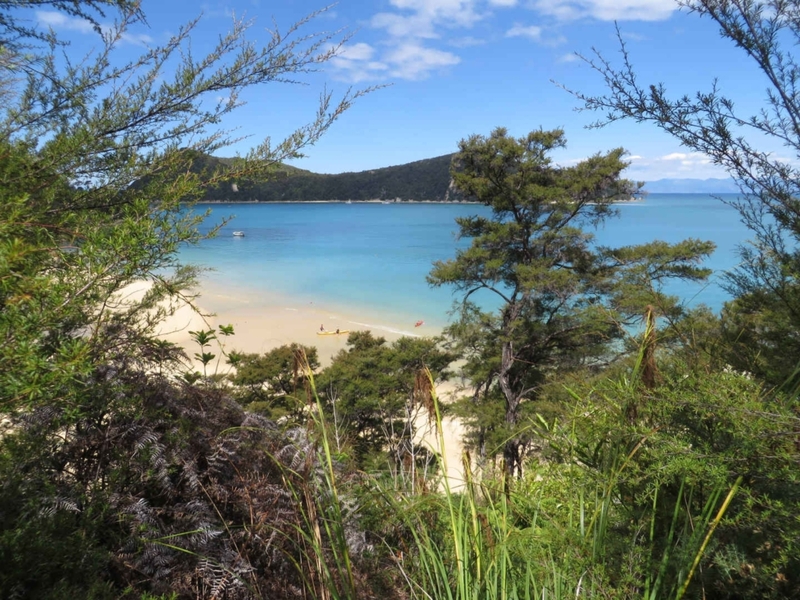 Our first stop was somewhere special: Abel Tasman National Park. 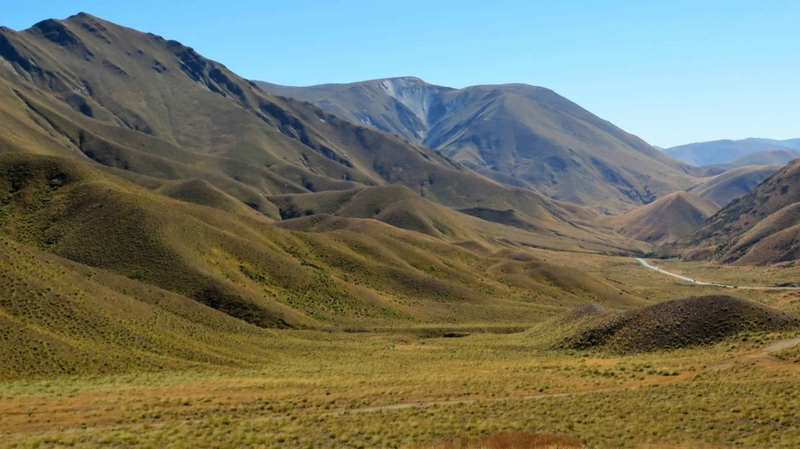 Here it is so remote you can’t even pick up a signal on your mobile phone, but so beautiful that many of my Stray traveller friends have named it their favourite stop on the South Island. 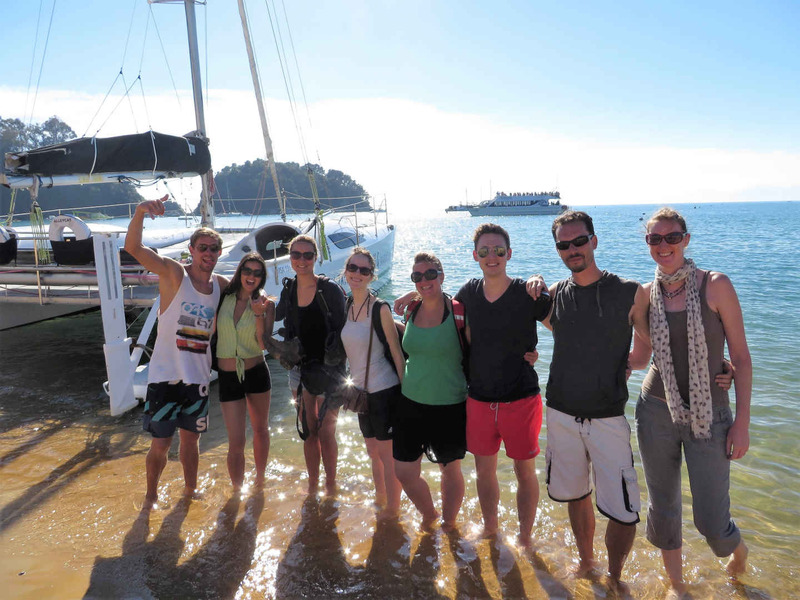 Here, we enjoyed a group BBQ and an evening walk along the beach, followed by a day sunning ourselves on a catamaran cruise. Afterwards, we hiked back to our camp through the jungle, complete with waterfalls and spectacular beach views along the way. 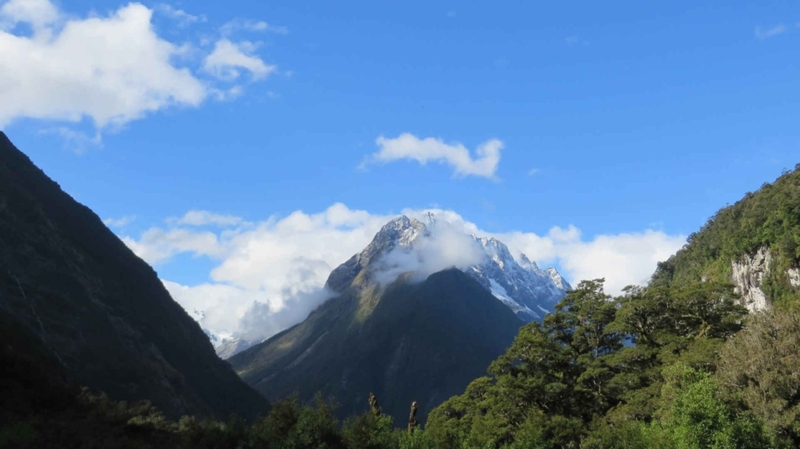 My next highlight was Franz Josef, a small town resembling a ski resort, where tourists come to check out the famous glacier – one of only four in the world which sits alongside a temperate rainforest. We were very lucky with the weather as it allowed the helicopters to fly us up to the glacier for our hike. With the sun shining, we followed our enthusiastic guide as he used his pick to forge steps in the ice for us to climb. We filled our water bottles with the clear water trickling through the blue ice and explored the caves we found. Our icy expedition was followed by a complimentary dip in the local (very) hot spa pools. Later I enjoyed a kayaking trip and visited the kiwi centre, where you can see three of these shy nocturnal birds up close. I spent Valentine’s Day here and certainly felt the love for this place. 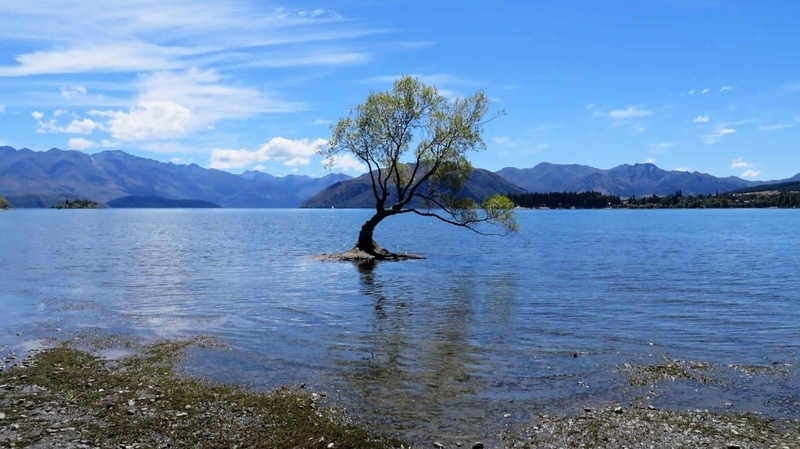 Wanaka was one of my favourite stops. The Stray bus stays overnight at this beautiful lakeside town surrounded by mountains. The great thing is, you are always invited to hop off and back on the tour as you wish, as another bus will be on its way in a day or so. So hop off is what we did. Here, we visited Puzzling World, with its mind-boggling exhibitions and walk-through maze; climbed to the summit of Mount Iron to admire the views and spot the frolicking wild rabbits; sampled some excellent local wine at the Rippon winery; and played a very competitive game of Frisbee golf. 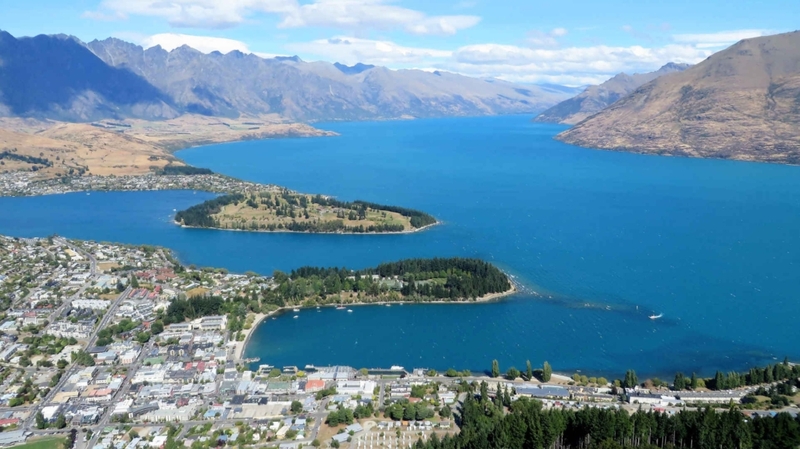 Queenstown is possibly the most famous tourist town in New Zealand. 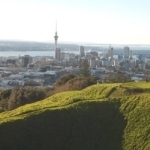 It’s known for being the home of extreme sports, from bungee jumps, to sky dives, canyoning, snowboarding and much more. There are also a lot of bars. I didn’t opt for launching myself from a cliff or aeroplane this time, but instead we took a leisurely trip on the cable car to the top of the mountain to take in the panorama and have a race around the high altitude go-kart track. 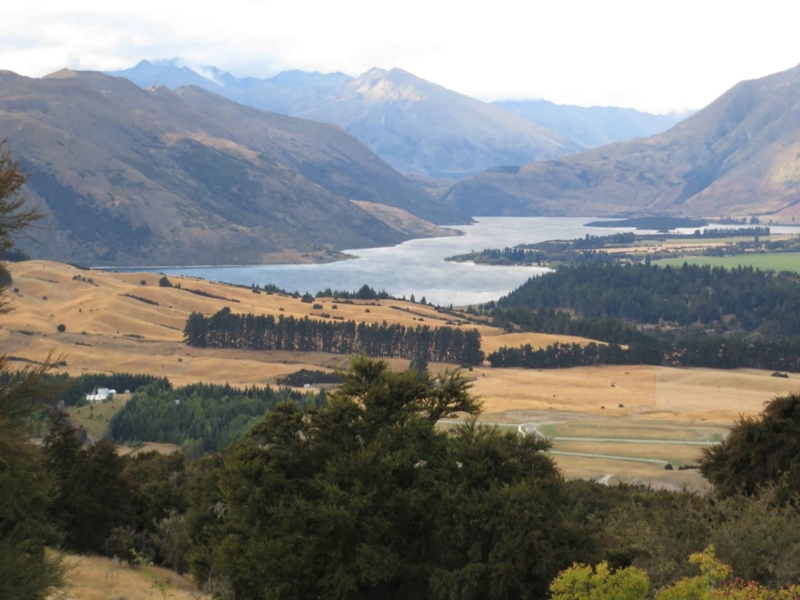 For me, the best thing about Queenstown was not the town itself, but the surrounding countryside which was simply breathtaking. When you’re travelling around on the Stray bus between destinations it’s tempting to take a nap, but I couldn’t take my eyes away from the majestic, sunlit views out of the windows. I was captivated. There are often stops en route for photo opportunities and one of them saw us taking a picnic by a mountainside lake so blue you can hardly believe it. 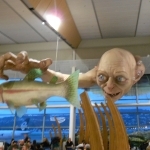 My other highlight of Queenstown? The legendarily juicy, meaty Fergburger. Definitely a contender for the best burger I’ve ever tasted. 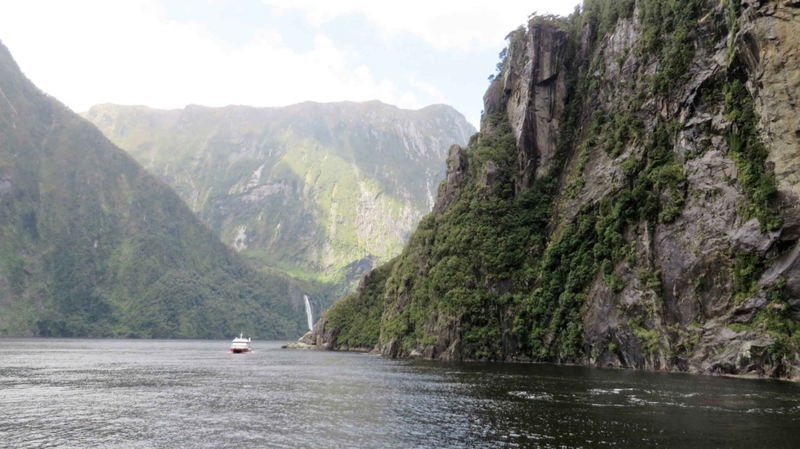 Milford Sound is another well-known stop on the South Island, famed for its cruises. Here we embarked on a short trip around the sounds, weaving through the mountains and up into the gushing waterfalls, saying hi to some seals showing off along the way. 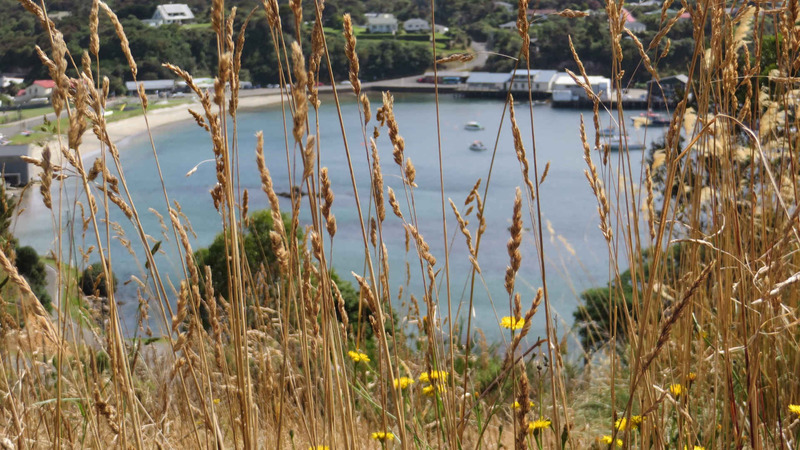 At the far south of New Zealand lays the country’s third largest land mass: Stewart Island. This is an optional, but unique trip on the Stray tour and a few of us braved the choppy waters of the ferry crossing to check out this picturesque place. With just one supermarket and one restaurant in the harbour-side town, it’s a quaintly un-touristy isle, but there are opportunities to spot kiwis and penguins (sadly we saw neither) and take some hikes through the pretty countryside. 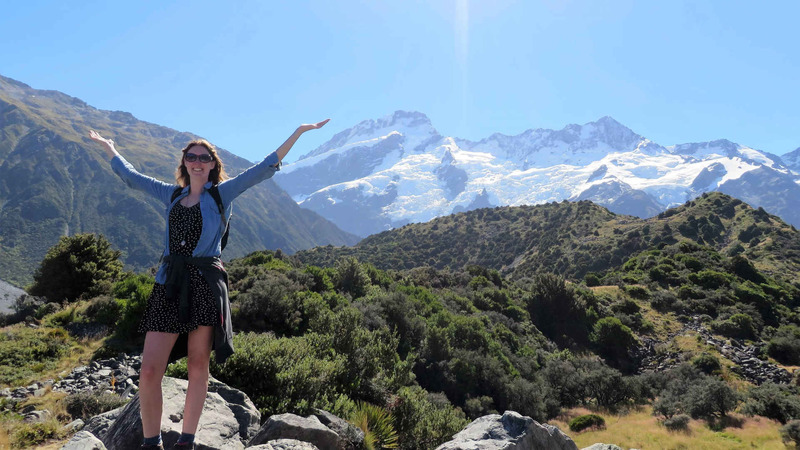 One of the most magnificent places we visited during the tour was Mount Cook. Our hostel in the village was overlooked by enormous snow-capped mountains. A very peaceful area, we took some hikes to explore the local scenery. 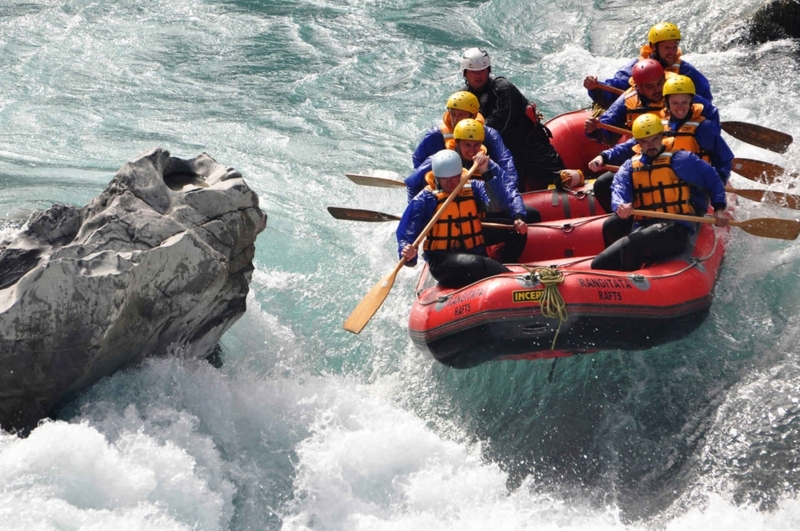 At Rangitata I faced my fear and decided to try white-water rafting again, after my first not-so-amazing attempt. I needn’t have worried. At Rangitata Rafts we received a thorough briefing from the friendly instructors and the three-hour trip through the increasingly energetic rapids was much more how I’d imagined whitewater rafting to be. It was a lot of fun and we were laughing and smiling the whole way, though, as always for this pursuit, it’s not without its risks. Luckily we paddled well and – with a little luck too – we sailed over the highest grade rapids without any incident. We even took a stop to climb some nearby rocks and jump into the water, with varying degrees of confidence and grace. Our final stop before we returned to Picton was Kaikoura. 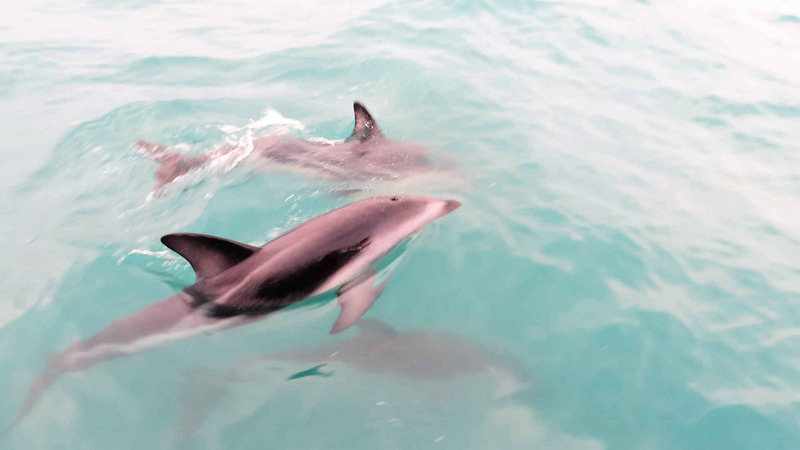 This tiny town offers some incredible experiences of whale watching and swimming with wild dolphins. They say that it’s good to leave somewhere with things that you’d like to have done, so it gives you the perfect excuse to go back. 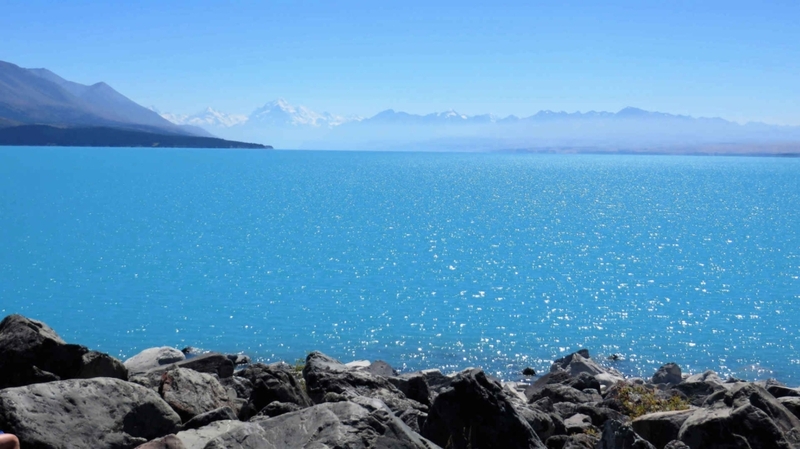 Maybe now I’ve jumped off the rock at Rangitata I could pluck up the courage to come back and do a sky dive. Either way, my tour of the South Island has certainly been one to remember and I wouldn’t hesitate to do it all over again. 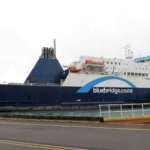 Now, read about my North Island adventure with Stray New Zealand here.